A simple story that is unlike anything I have read before. This lovely little book involves a pilgrimage, a journey of spiritual and/or psychological significance, in this case one made unwittingly by Harold Fry. Harold is searching for a miracle. 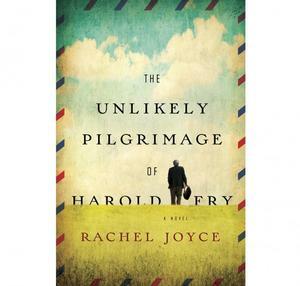 The book begins with an elderly gentleman, our protagonist - Harold Fry, who receives a letter from an old friend and learns that she is dying in a hospice. Harold sets out to mail her a letter in response but when he gets to the mailbox...he just keeps walking. He starts to believe that if he is somehow able to walk from one end of England to the other (over 1000km) and reach the hospice, he can save his dying friend, Queenie. Sometimes it is what happens along the way, rather than the destination itself, that matters. Harold uses the long days of walking to reflect on his life, and begins to realize the importance of those he left behind.